After doing the Race to Anyplace at Heinz Field on Saturday, my team of faithful spinners decided to refuel nearby at the freshly opened Bar Louie next to Burgatory in North Shore Place developments. After six hours on a spin bike, we appreciated that we could walk right in and sit on a chair more comfortable than the bike seat. A round of beer in, the bartender informs us of a special free appetizer. Simply check in on Facebook and show your server and get a free appetizer. I’m sure this is for a limited time, so visit soon to get that offer. I got the Chicken Nachos thinking they would be a good small recovery size, but boy was I wrong. This could have fed the entire team. I was happy with them. Very happy in fact, while I quenched my dehydrated body with an ice cold beer. I was happy I couldn’t finish the plate, especially when I went to log the nachos into MyFitnessPal. 1,532 calories. Ouch! 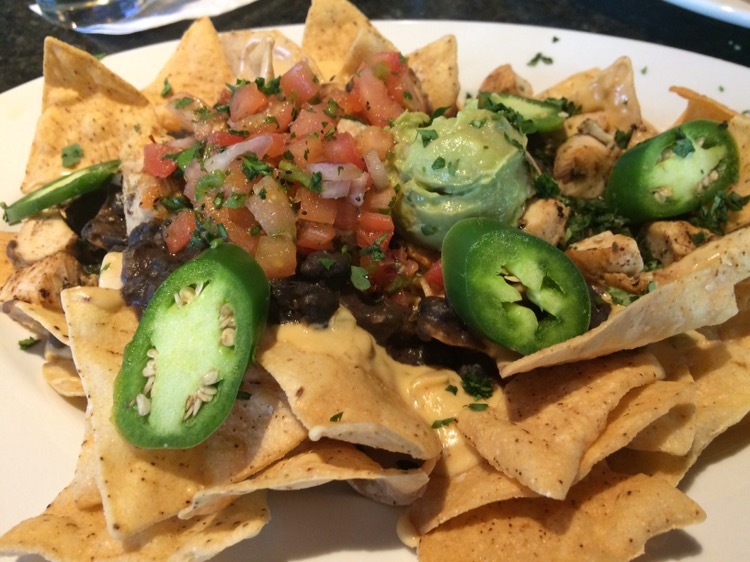 Good news for the upcoming baseball season that the nachos are a SHAREABLE appetizer that pleased my palate. Hopefully Pirates fans enjoy the the offseason additions of Bar Louie, Burgatory and soon North Park Lounge to their pre- and post-game hangout options. Previous What is a Frickle?